Mount Kilimanjaro is calling. In three weeks I will set off for the highest mountain in Africa. Of course I want to reach the summit at 5,895 meters. But that’s not the only reason for the “Kilimanjaro Summit Challenge”. 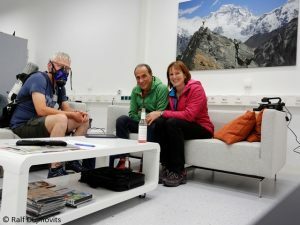 The other 23 expedition members and I will also participate in a research project of the Philipps University Marburg on altitude sickness. The doctors who will accompany us will take blood samples and examine us daily. 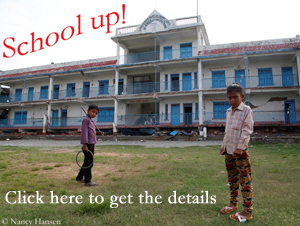 Also psychological tests are planned. The risk of suffering from high altitude sickness on Mount Kilimanjaro is quite high. 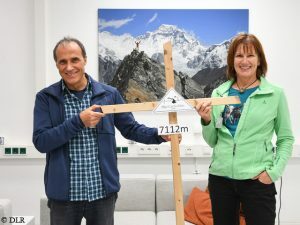 Finally, the summit aspirants overcome an altitude difference of more than 4,000 meters in just a few days. 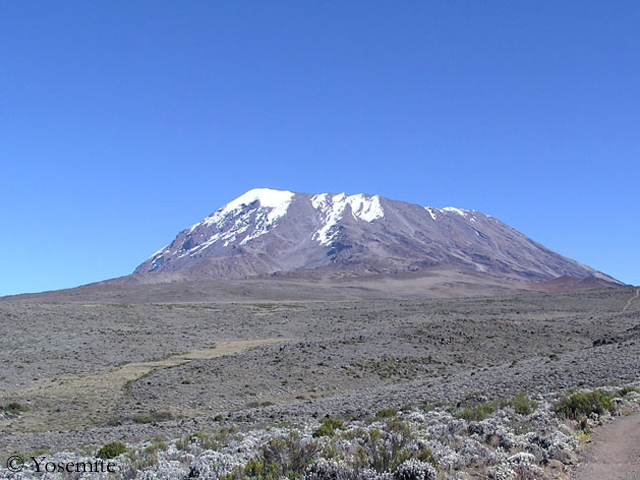 About 70 percent of the Kibo tourists say they suffered from symptoms of acute altitude sickness. I live in Cologne at about 50 meters above sea level, the Alps are about 600 kilometers away. So I miss the opportunity to just climb a mountain and breathe thin air. 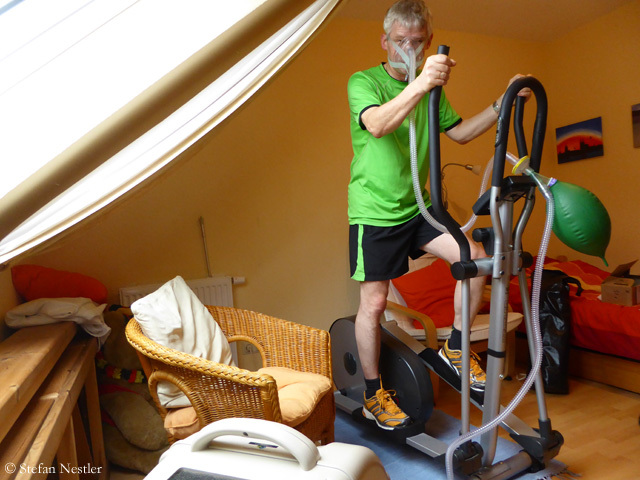 Even before my previous expeditions, I had good experiences with hypoxia training, back then in special gyms. Now there is a generator in my home, which I can specifically use to filter out a part of the oxygen from the air. Through a mask I inhale the oxygen-poor air thus simulating a higher altitude. So I am not only able to breathe thin air during training and at rest, but even sleep in a special small tent in “high altitude”. Meanwhile, some commercial expedition operators are also using such equipment to give their customers the opportunity to acclimatize before the expedition. I borrowed my device from Markus Göbel. The 41-year-old sports scientist who lives in Sonthofen in the Allgäu region, does not only lend this equipment, but also creates training plans. His clients included the German top climber Thomas Huber and high altitude mountaineer Jost Kobusch. Markus, it feels like hypoxia training has come into fashion. It has been increasing. Six and a half years ago I started with two devices. Meanwhile I receive more and more inquiries. These travel destinations are popular. Some people have never had anything to do with high altitude and are glad that they can prepare themselves at home. The others have experience with the training and know it helps them. 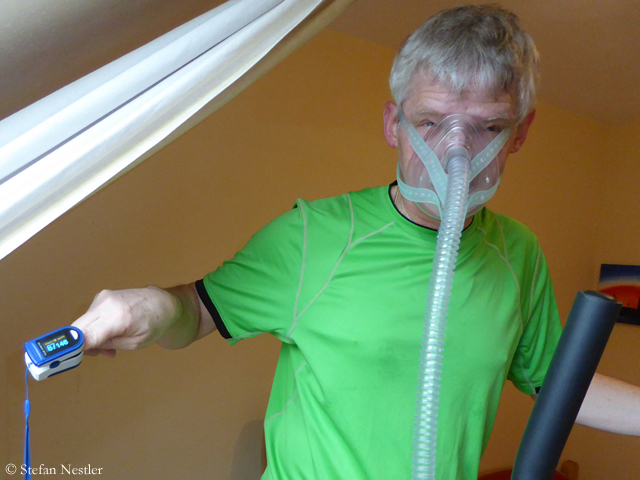 What is the body to believe when doing hypoxia training? In principle, the same as on the real mountain. There the oxygen molecules in the air are further apart due to the lower air pressure, so I am only able to breathe fewer molecules. With the hypoxia device, the generator filters the oxygen out of the surrounding air via a membrane. To simulate an altitude of 4,000 meters, we then have instead of 21 percent only 13 percent oxygen content. So the molecules are missing just like on a real mountain. The effect is even stronger because here we have to breathe against the normal ambient pressure. This means that the oxygen saturation at real 4,000 meters are slightly higher than at the artificial altitude. So the training effect is even stronger than at the real altitude. Does the body remember that? He has to adapt to the lack of oxygen just as on the real mountain. I can not sleep in the hypoxia tent at 4,000 meters all of a sudden, but have to gradually increase the height. So I start, for example, at 2,300 meters and then increase each night by 300 meters, also taking breaks to regenerate. The body remembers the acclimatization for ten to 14 days. I ensure that the customers really use the system until the day of departure, so the gap does not get too big. Commercial operators report that expeditions which doesn’t take more than four weeks can be sold well, longer ones are more and more problematic. Does this increase the need for hypoxia training? That’s exactly what it’s about. You anticipate at home the time that is missing on the spot. E.g. 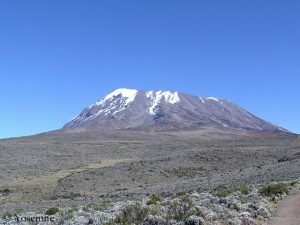 for Mount Kilimanjaro, I do two to three weeks altitude training at home and then spend a week there. In total that’s three to four weeks. According to high altitude medicial findings, this is the period of time I need to reach the summit of an almost 6,000-meter-high mountain safe and sound – leaving out other factors such as possible illnesses like diarrhea ond cold, or the weather. I think that customers who have completed an altitude training before a Mount Kilimanjaro expedition have a 95 to 98 percent chance of success. 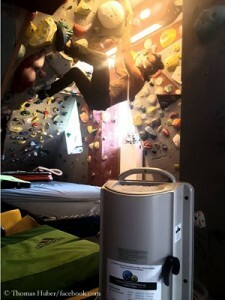 Is hypoxia training meanwhile accepted by professional climbers too? I already had some. (laughs) But they are not knocking my door down. I think, and I find it’s alright, that they don’t want to peddle it. It’s not about saying I’ve done altitude training, so now I’m running up the mountain fast. 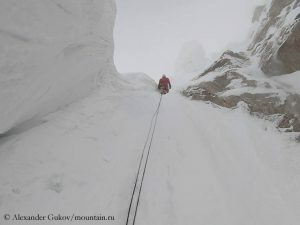 It is simply a training method to prepare for a mountaineering destination. I do not necessarily have to tell it everyone and their dog and maybe increase the peer pressure to reach the goal. They just do not shout it from the rooftops when they do it.